(Ankara) When the body of 35 year old mother of two Özlem Aykutluğ, was found on the road between Istanbul and Ankara after having been shot six times in Feb. Homicide police came to the conclusion that it bore all the hallmarks of an honour killing and so decided to focus their investigation on her family in the eastern province of Kars. They worked out that the decision to kill her was made by her family, when it was revealed she had been brought to Ankara two days before the killing. 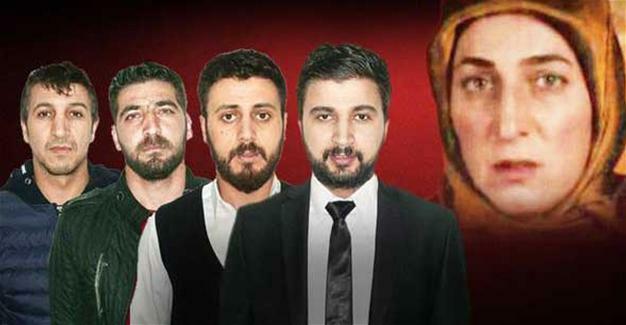 The police picked up her four brothers: Ersin, 37, Erol, 32, Ferhat, 25 and Yasin, 29 and they confessed to the murder. It transpired that the brothers told their sister Aykutluğ they were going to Istanbul by car, and they killed her whilst on the road to Istanbul from Ankara. Apparently Aykutluğ understood that she was about to be murdered and told her brothers to protect her children. “I know you are going to kill me. I beg you to protect my children and not abandon them"
Way to go idiots killing your own, because of what you presumed other people are thinking.